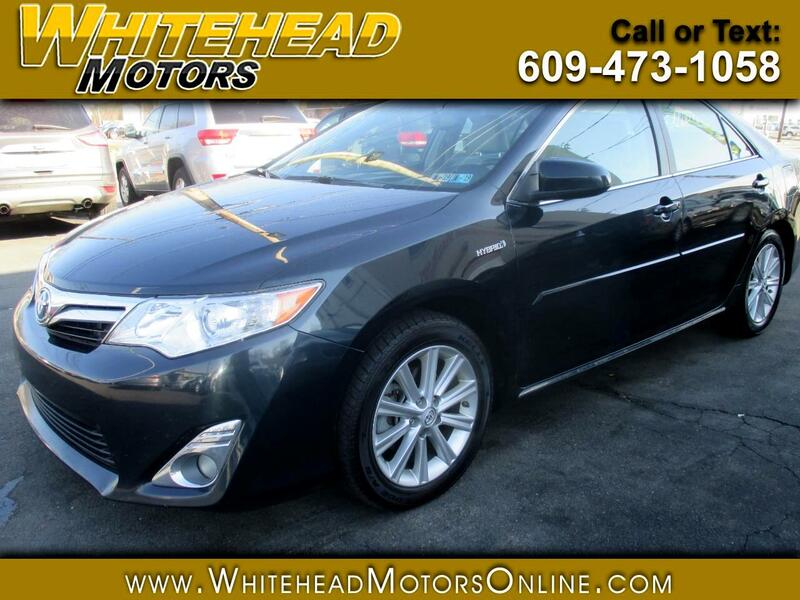 Our remarkably efficient 2014 Toyota Camry Hybrid LE is shown in beautiful Attitude Black Metallic. Motivated by a 2.5 Liter 4 Cylinder paired with a 105kw electric motor that combines to produce 200hp and is tethered to a CVT. This Front Wheel Drive will achieve near 43mpg in the city. The quiet relaxing ride will impress you, and for maximum efficiency, you can choose to drive in econ or EV mode. A dynamic wedge shape, distinctive tail lights and low rolling resistance tires accent the aerodynamic exterior of the Hybrid LE. The comfortable interior of our LE has increased visibility and lots of elbow room, while the handsome dash is straightforward and modern, featuring a central display with navigation. A sound system with iPod input, available satellite radio and Bluetooth technology help you stay safely connected while you drive. Of course, this Toyota includes anti-lock brakes, stability control and airbags for your safety. Getting behind the wheel of this Eco-friendly car is a choice you will feel great about! Print this page and call us Now... We Know You Will Enjoy Your Test Drive Towards Ownership! Get Approved In Minutes at Whitehead Motors. We Make Car Buying Easy.